Some cars are designed from the outset to be all things to all people. This is not one of those cars. By design a sports car is very seldom capable of being all things to all people, but that doesn't mean that one can't be a multi-purpose tool. Australian FLATSIXES.com-reader David Anderson's 1976 911 is one such multi-purpose tool. A very capable Porsche both on the street and on-track, David's heavily modified G-Series remains road registered but holds a class lap record at one of his local tracks. 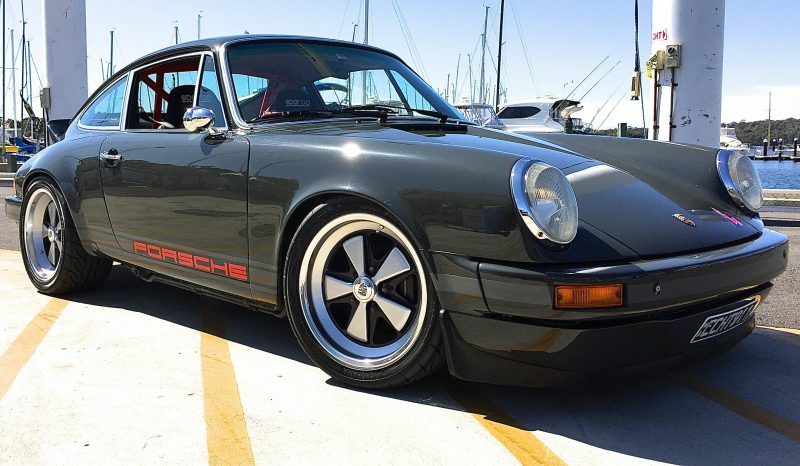 Though David owns five air-cooled 911s, the Porsche featured here is far and away his favorite, and the one he gravitates towards when its time to get out and drive. This wild street and track build started life as a humble '76 G-Series 911. According to David this setup is good for 320 horsepower. This Porsche's upgraded powerplant and modified suspension make it a potent force on track. The car has led its class in the Western Australia Spint Series championship, and holds the lap record for its class at Barbagallo Raceway. In true RS-style, the interior door panels are extensively lightened. The door latch release and door pull have both been replaced by simple straps, and the only remaining factory hardware is the manual window winder. For safety this 911 is fitted with fixed-back Sparco racing buckets, Sabelt harnesses and a bolt-in half cage. We dig the attention to detail in this build, and the color coordination between the harnesses, cage, and stitching helps to set off the whole car. David's 911 isn't just a force to be reckoned with on-track. 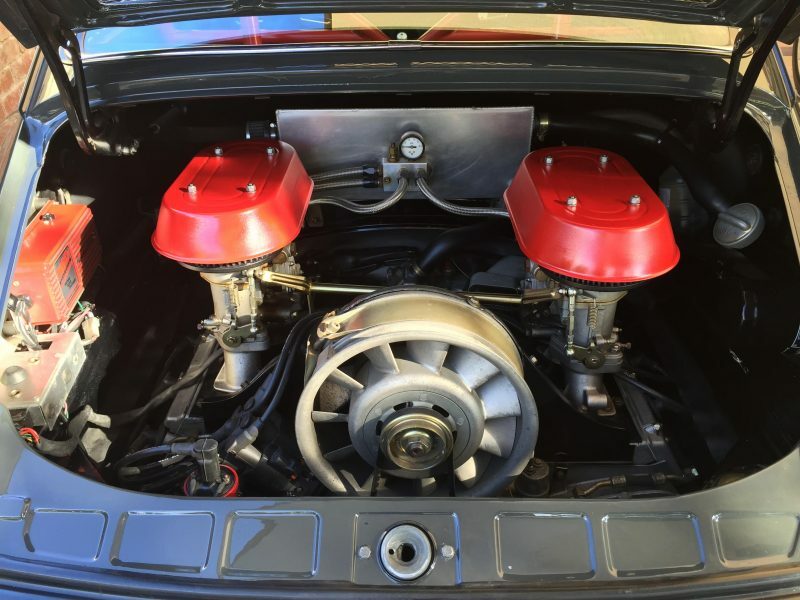 His Porsche was a joint winner in the 2016 Porsche Club of Western Australia Concours' “Wash & Polish” category, and David uses the car as a Sunday driver and for Porsche club events. Share Your Porsches With Us! Here at FLATSIXES.com we don't try to hide our Porsche fandom, instead we put it right in our URL. We love seeing our readers' cars. If you'd like the chance to have your Porsche featured, please contact us with a picture and short description of your car, and we'll work with you to share your Porsche passion with the world.